Engineered for comfort and ease in working conditions, take on your local countryside in this knee-high Wellington boot. 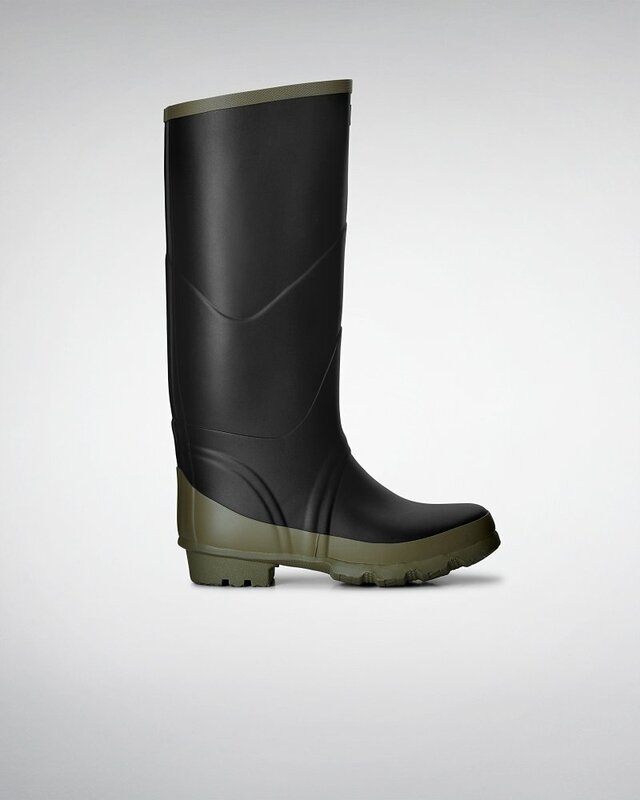 Exceptional for rough environments and farming, this design is made from heavy-duty rubber and sports a thick sole. A high-function style, it has a wide calf and ankle width, a wide tread for grip and mud release, while vulcanised rubber ensures complete waterproofing. The matte-finish boot is completed with contrast colour detailing at the back, top and sole for a timeless look. Trusted by many, they are a rural staple.